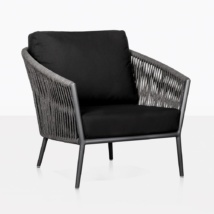 The ultimate in style; the Washington Rope Outdoor Loveseat is the comfortable answer to contemporary. 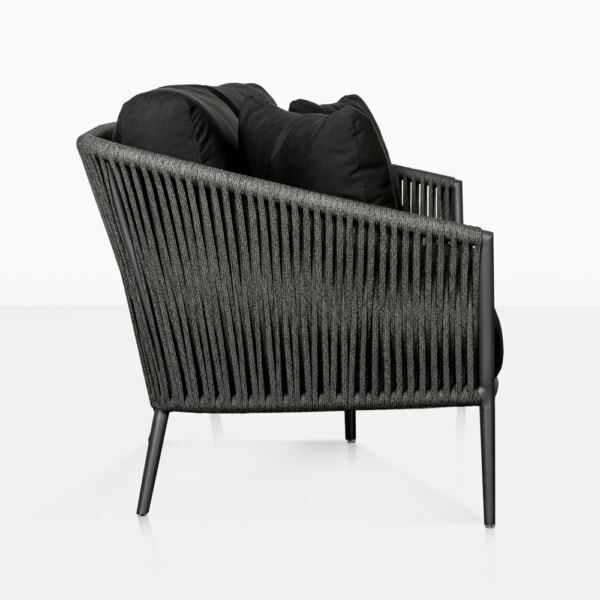 A beautiful blend of the old and the new; our Washington Collection is the crème de la crème of modern outdoor furniture. 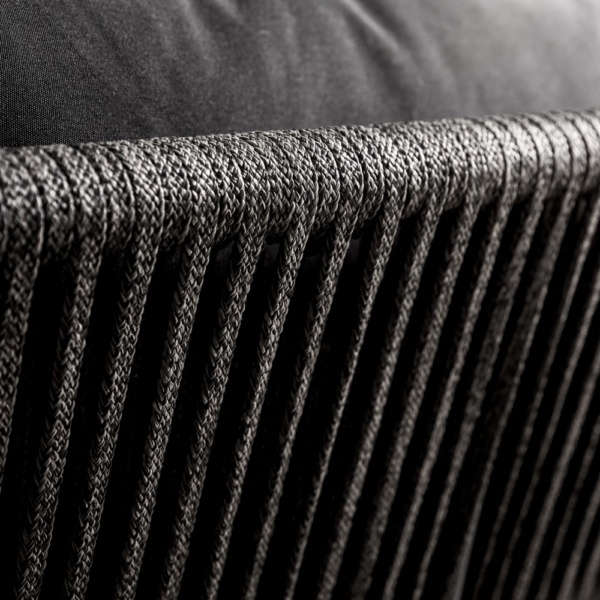 Pleasing those who like mid century styles with the curved arms and deep seating, and catering to people who like a more urban look with the incredible, new materials used. Each item in this 5 piece furniture collection is both dreamy and chic, cushy and hard edged… so we know it will satisfy you and your guests! Throw pillow not included. 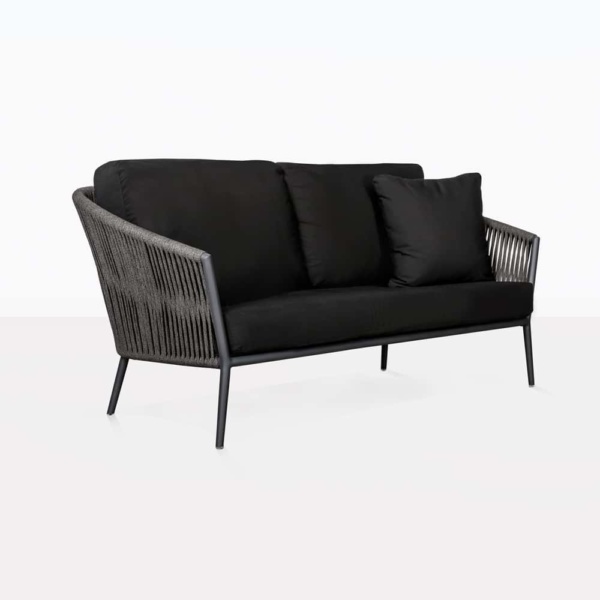 W56" x D30" x H33"
The Washington Outdoor Loveseat is built on a Powder Coated Aluminium frame with curved arms and with lengths of elegant European outdoor Rope wrapped around the frame, which gives the appearance of being light and delicate. 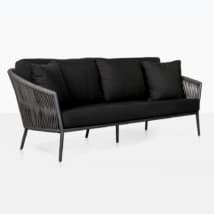 It may look like this, but the construction is extremely robust, having used the best quality materials on the market for producing incredible outdoor furniture. 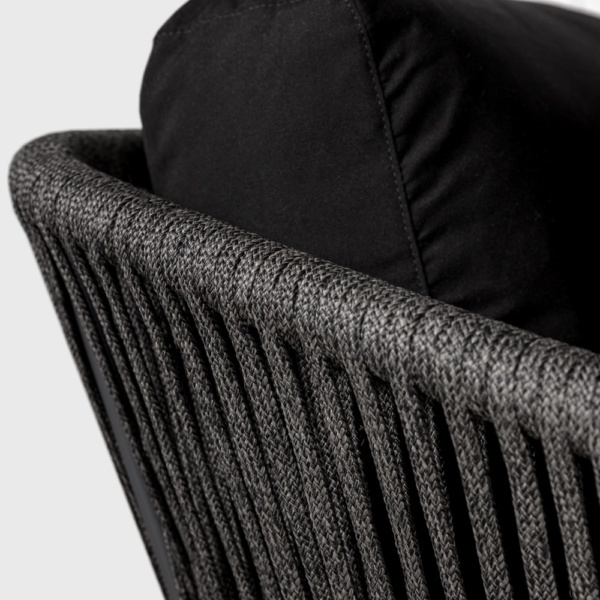 The Washington Rope Outdoor Loveseat is perfect for two. Place on a small porch with a couple of modern side tables for an intimate spot to enjoy long, lazy afternoons together with a loved one. Add this gorgeous patio Loveseat to a larger area, with other members of the Washington family. Why not flank a Washington Rope Sofa with a Washington Outdoor Loveseat on either side. A satisfying garden seating area for you and your guests! 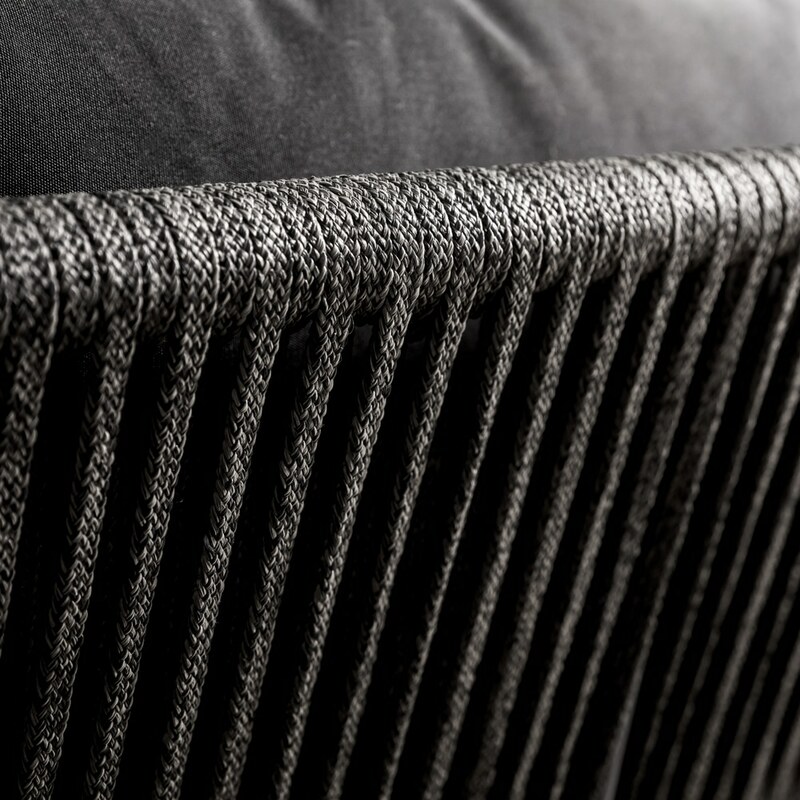 Our incredible Washington Loveseat is a unique and stylish choice for indoors as well as out. Place in your office lobby for an impressive first impression for clients and guests. The Washington Rope Outdoor Loveseat is a statement piece in looks with amazing textures that ensure relaxation and serenity. Don’t forget that each item from the Washington Seating Collection comes with free Sunbrella® cushions packed with QuickDry® foam. Shop online or call us today. We are open 7 days a week and are ready to answer your call.